Mattel, the maker of Barbie dolls, has announced that a new entrepreneur doll will be joining their I Can Be career line of dolls. The doll line, which features Barbie in a sleek pink shift dress with a smartphone and a tablet, will include an African American doll. This may not sound like big news, but it is actually huge progress for a doll that used to only come in Caucasian, and was previously marketed as a character who loved Ken, loved to go shopping, and loved to go to the beach. Now, Barbie is intelligent, business-minded, and Black. Including a Black doll in the new entrepreneur doll line accurately reflects what's going on all around the world. In the United States, African American women are the fastest growing group of successful entrepreneurs and business owners. In fact, they own more than half of all Black-owned businesses. In various countries in Africa and parts of Europe, Black women entrepreneurs are also growing in numbers every year. Mattel's wise decision to produce this doll will surely influence the minds and the futures of millions of little Black girls, and the number of Black women entrepreneurs will continue to flourish. By owning such an entrepreneur doll, young Black girls can now see themselves in the future as an entrepreneur or business owner. They will no longer feel that they can not reach this goal. In case you don't realize how powerful and influential Barbie dolls are, maybe these statistics will help you to see it clearly. #1 - More than 1 billion Barbie dolls have been sold since 1959. #2 - It is estimated that the average girl in the U.S., between age 3 and 11, owns at least 10 Barbie dolls. #3 - Barbie has annual sales of nearly $2 billion dollars, making it the world's most valuable toy brand. 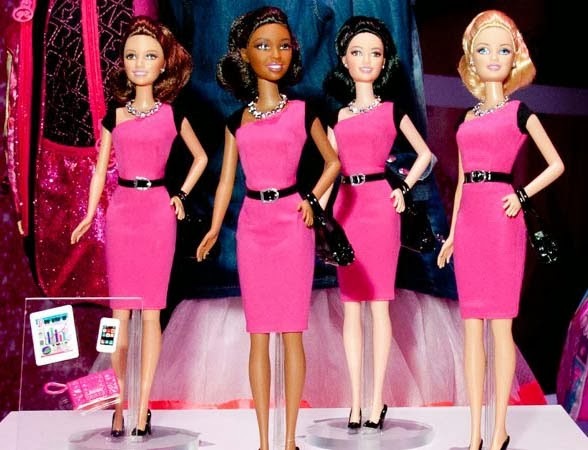 #4 - Every year, Mattel creates more than 150 different Barbie dolls and 120 new outfits.